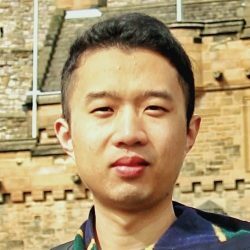 Hao Wang earned a Ph.D. in Information Engineering from The Chinese University in Hong Kong. His research interests include big data analytics for supporting smart grid planning and operations, as well as long-term investment and short-term (day-ahead & real-time) operation of power systems integrating renewable energy and energy storage. He is also studying new business models and economic mechanisms for incentivizing participation of distributed energy resources, such as renewable energy, storage, electric vehicles in microgrids. He will be working with UW professor Baosen Zhang in electrical engineering starting in June 2016.